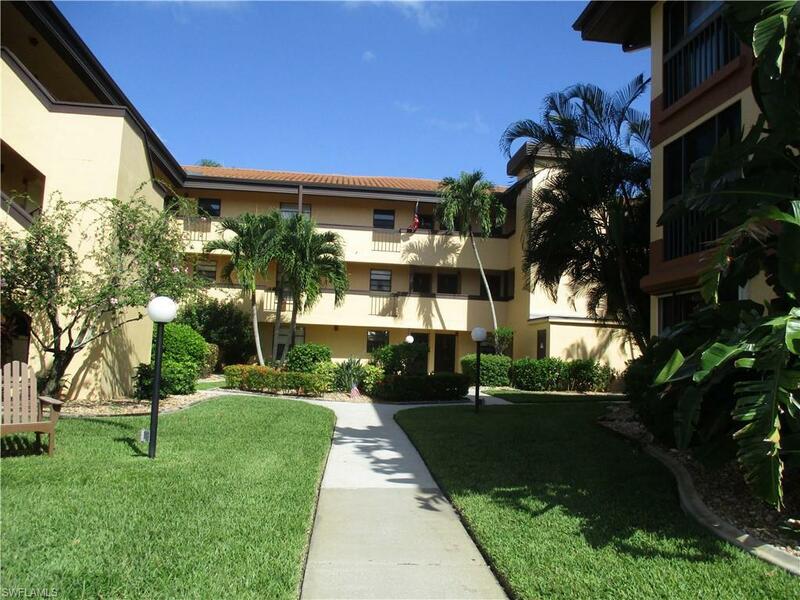 Wonderful Fort Myers convenient condo community. 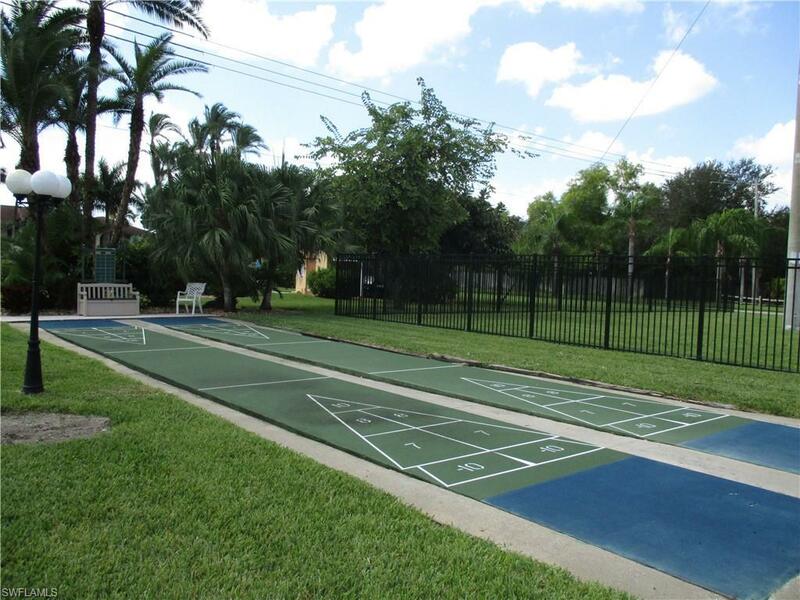 Fabulous Amenities including Large Clubhouse with Gathering Room, Exercise Area, Billiard Room, Tennis Courts, and Resort Style Pool. 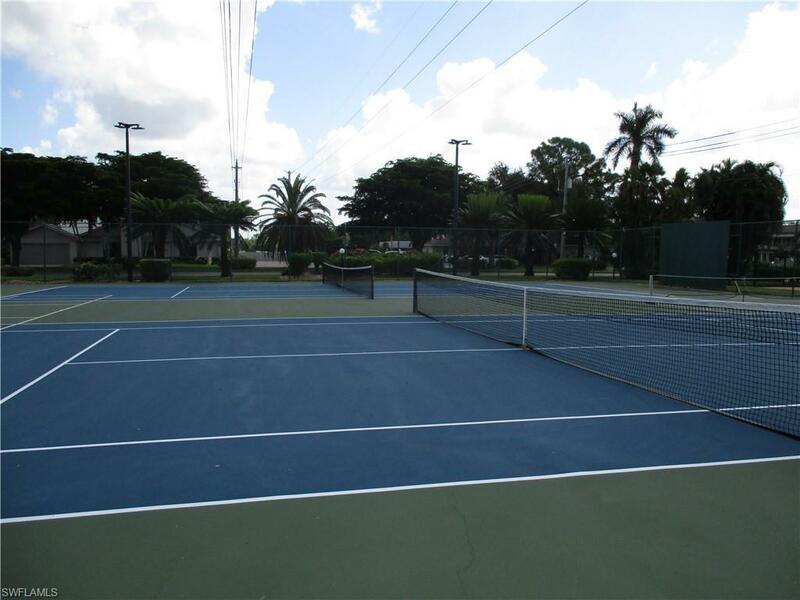 Located close to beaches, FSW college, entertainment, Parks and Restaurants. Elevator to this Top Floor unit which overlooks a creek and a landscaped area. Very pretty view. Updates to the kitchen, Baths, Fans, A/C and water heater. Master bedroom has two large windows and a slider to the Florida room. Second bedroom features a Murphy bed and wood floors. Light and bright unit. NOT an over 55 complex. Roof was replaced on the building in the last year, reserves are strong and it is in the associations budget to paint the buildings every 5 years. 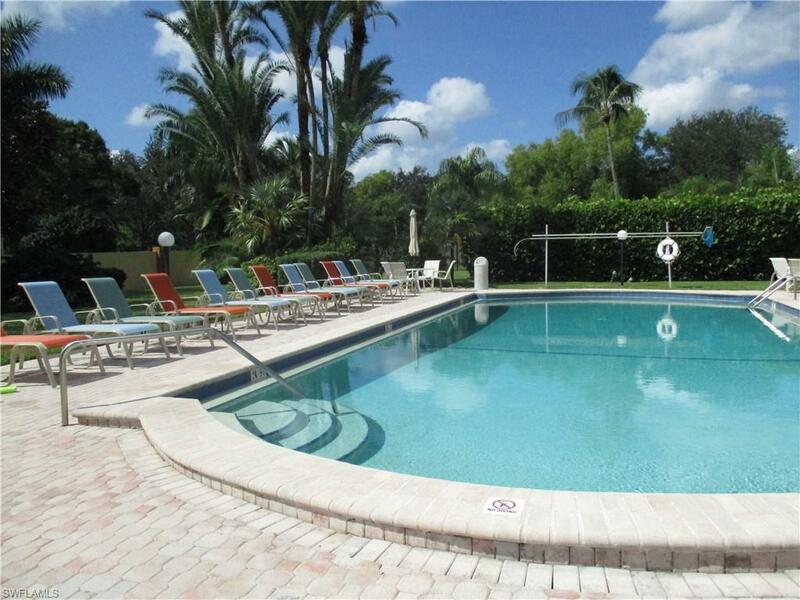 Well managed complex with LOW fees.